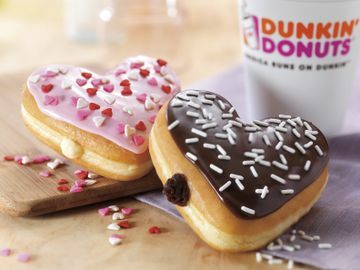 CANTON, MA (January 29, 2018) – Dunkin’ Donuts is ready for Valentine’s Day by showing a little extra heart at the donut case. 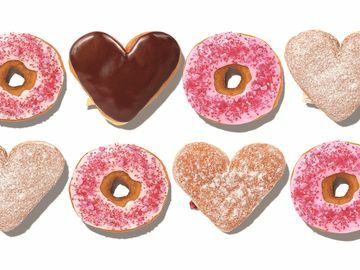 Dunkin’ Donuts’ famous festive heart-shaped donuts return today, and this year the brand is bringing guests beloved Valentine varieties along with a special seasonal surprise of sweet new names for its donut and MUNCHKINS® donut hole treats. 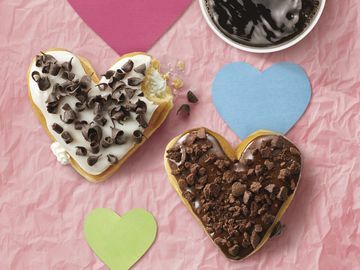 Dunkin’ Donuts introduces Valentine’s Day mobile cards as perfect last-minute holiday gifts.Share a sweet heart with your sweetheart with Dunkin’ Donuts’ heart-shaped donuts along with Dark Chocolate Mocha beverages.